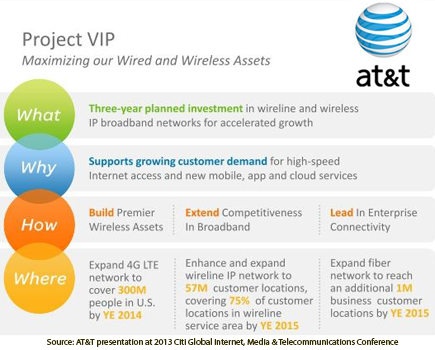 Project VIP is on track and will deliver multiple benefits to AT&T as its wireless and wireline networks become more tightly integrated, said John Donovan, Senior Executive Vice President - AT&T Technology & Network Operations, speaking at the Citi Global Internet, Media & Telecommunications Conference on January 9th. Densification of the wireless grid through multiple technology deployments, including 10,000+ new macro sites, 1,000+ distributed antenna systems, and 40,000+ small cells. Over half of the densification will come from small cells. Extending the wireline broadband network to 57 million homes. Donovan spoke of a 100 Mbps ceiling for residential services as achievable in many locations. Extending fiber to many more business locations. The target is for 1 million more customer locations in 3 years. With Project VIP, Donovan said he is most excited about the integration between AT&T's wireline and wireless networks. Packets are much more efficiently carried on the ground network than through the air. Fiber endpoints will drive small cell backhaul, reducing the need for new macro sites. AT&T's work on cell site architecture is paying off in two areas: providing a seamless experience between LTE and HSPA+, and ensuring that only one radio is drawing handset power. The company plans to bring LTE to 300 million POPs by end of 2014. Regarding the recent agreement with Akamai, Donovan said deal was driven by the rapid pace of the content distribution business. The partnership with Akamai combines their ability to move at the pace of the market with the scale of the AT&T network. 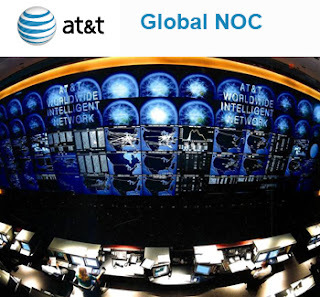 An archived webcast of the presentation is on the AT&T Investor relations web page. Citing high demand for data center services in Japan, Equinix announced plans to invest $43 million to build its fourth International Business Exchange™ (IBX®) data center, TY4, in Ōtemachi, Tokyo. Ōtemachi, located in the heart of Tokyo’s business district, is the Internet Exchange hub in Japan, with 90 percent of Internet traffic being exchanged in the area. Equinix said the data center outsourcing market in Japan will reach a size of 1.4 trillion yen (US$20 billion) in 2015, based on figures from International Data Corporation (IDC). Equinix currently lists over 194,000 sq. ft. colocation space in its current Tokyo data centers. The European Telecommunications Network Operators' Association (ETNO) will undertake a review of national markets with a goal determining where further deregulation could lead to increased investment. A reduction of the number of markets, in particular the retail market for access to the fixed telephone network: no competition issues are observed on this market where fixed telephony is increasingly subject to competition from mobile networks and consumers increasingly use online Over the Top services over broadband networks to keep in touch. Nokia reported good news: sales of Devices & Services exceeded expectations and achieved underlying profitability in the fourth quarter 2012. 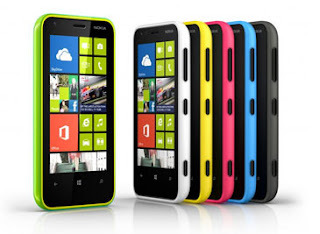 Specifically, its Mobile Phones business unit and Lumia portfolio delivered better than expected results; and operating expenses were lower than expected. Devices & Services non-IFRS operating margin for the fourth quarter 2012 now expected to be between break even and positive 2 percent. In addition, Nokia Siemens Networks exceeded expectations for the fourth quarter 2012, delivering record underlying profits and a third consecutive quarter of underlying profitability. The company cited strong performance in higher margin product categories and geographic regions, along with better than expected cost management. NSN's non-IFRS operating margin for the fourth quarter 2012 is now expected to be between 13 and 15 percent. Mirantis, a start-up based in Mountain View, California with offices in Russia and Ukraine, raised $10 million in venture funding for its OpenStack systems integration work. Mirantis' goal is to make a vendor-agnostic OpenStack cloud simple and predictable for service providers, SaaS vendors, and enterprises. Mirantis was an early OpenStack advocate, since the open source project was introduced in 2010 and recently joined Dell and Intel as founding members of the new OpenStack Foundation. Boris Renski, Mirantis co-founder and executive vice president,was elected to the board of the Foundation, which provides leadership to the community and guidance over development efforts. The company said it will remain true to its focus of providing a vendor-neutral implementation of OpenStack, free of lock-in hooks or proprietary packaging. The funding came from Dell Ventures, Intel Capital and WestSummit Capital. “We believe that OpenStack is on its way to becoming a universal control plane for the entire application infrastructure fabric,” observed Adrian Ionel, president and CEO of Mirantis. The Consumer Electronics Association (CEA) estimates that revenues for the consumer electronics (CE) industry are projected to grow nearly three percent, reaching a new record-high of $209.6 billion for 2013 for the U.S. market. This compares with 2012 sales of $204 billion, which was up five percent from 2011. Tablet computing will continue double-digit growth in 2013. Unit sales of tablets are projected to reach 116 million this year, up 45 percent from 2012, when 80 million tablets were sold to dealers. Industry revenues for tablets are expected to surpass $37 billion this year, up from $31 billion in 2012. Laptop/notebook computer sales will continue to rise as 26 million units are projected to be sold in 2013 accounting for $17 billion in revenue. The U.S. Consumer Electronics Sales and Forecast 2008-2013 (January 2013) is published twice a year, in January and July. CEA also announced that this week's 2013 International CES show in Las Vegas attracted more than 3,250 exhibitors across 1.9 million net square feet of exhibit space, breaking both space and exhibitor records that were set last year. JDSU named Susan Spradley as senior vice president of its communications test and measurement business unit. Reporting to David Heard, CommTest’s president, she is responsible for the development and management of the communications test product portfolio, including instruments, probes, software applications and service assurance solutions. Spradley brings more than 20 years of telecommunications industry experience to JDSU, serving in executive positions at Nokia Siemens Networks and Nortel. JDSU also named Rex Jackson as executive vice president and chief financial officer. has served as acting CFO since September 2012. He joined JDSU two years ago as senior vice president, Business Services, with responsibility for several corporate functions, including Information Technology, where he has driven significant operational improvements. Jackson brings strong financial management experience to the company. Prior to JDSU, he served as executive vice president and chief financial officer at Symyx Technologies. Sandvine confirmed the receipt of more than $6.5 million in follow-on Network Policy Control orders from a Top-5 Asian communications service provider. 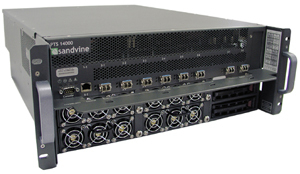 Sandvine announced initial orders from the customer in May 2012. Since May 2012, Sandvine has announced orders from certain Tier-1 Asian operators that total approximately $20 million and has reported the highest market share in the region. Sandvine also announced that Dermot O’Carroll has joined its Board of Directors. Mr. O’Carroll has spent almost 40 years in the telecommunications industry, the last twenty of which as a senior executive in various roles, including with Rogers Communications. Sandvine reported $27.5 million in revenue for its fourth quarter of 2012, non-IFRS income of $6.9 million and net income of $6.5 million. During the quarter, Sandvine recorded a one-time, $3.8 million reduction in operating expenses for Ontario government funding related to its ongoing project under the Next Generation of Jobs Fund. Full year results included revenue of $87.9 million and a non-IFRS loss of $2.7 million (net loss of $5.0 million). Broadcom introduced a highly integrated gigabit passive optical network (GPON) Home Gateway Unit (HGU) system-on-a-chip (SoC) that supports China Telecom's E8C specification, which is required for all GPON deployments in China. The new BCM68571 GPON home gateway chip features line rate packet processing, a quad port FE switch, PCI Express, USB 2.0 and SIM card controller. The Chinese market continues to grow and is poised to be a leading GPON region worldwide," said Mr. Li Changchun, Fiberhome R&D General Manager, Service & CPE Business Unit. Broadcom is now shipping its ninth generation ADSL gateway silicon. Broadcom said its new BCM6318 ADSL2+ gateway complements the existing xDSL product lines by offering an ultra-low cost solution for entry level products. It features multiple Ethernet ports coupled with expansion ports to enable USB 2.0, and Wi-Fi. "As ADSL deployments increase in emerging markets, they become more mature. Simple bridge products must be replaced by more sophisticated – yet cost-effective – gateway products," said Greg Fischer, Broadcom Vice President and General Manager, Broadband Carrier Access. "Broadcom understands that low cost solutions must perform to the unique demands of these markets and are essential to growth. We will continue our focus of combining the desired features with the performance needed in affordable, integrated solutions." 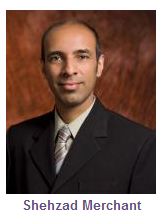 Extreme Networks promoted Shehzad T. Merchant to the position of Chief Technical Officer (CTO). Merchant holds 10 technology patents for networking including Policy-based quality of service, unified, configurable, adaptive network infrastructure, VLAN aggregation, and security/access intrusion detection. Recently, Merchant has shaped the company's Open Fabric data center strategy for open networking for virtualized data center and cloud switching, Software Defined Networking (SDN) and the Company's flagship software platform, ExtremeXOS, which supports a rich set of APIs, networked applications, and OpenFlow tools enabling customization, more efficient management and secure Bring Your Own Device (BYOD) at the network edge.